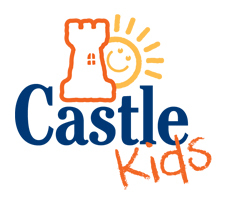 Castle Publishing has great pleasure in announcing an all-new imprint – Castle Kids. This idea has been in the pipeline for quite a while. Castle has a strong belief that New Zealand authors have a unique point of view, and we knew that while we had been demonstrating this in the area of general non-fiction for some time, we needed to expand this vision into children’s publishing as well. For some time, the Castle Kids concept had been awaiting the right product. We got our feet wet assisting Mike de Vetter with his wonderful Rose Princess book and with Lyndon Douglas’s remarkable Debbie Dart book. Then, this year, two books came along at around the same time that pushed the idea forward. These two books are Daphne Joy’s The True Adventures of Lucy the Hen and Pasty Nealon’s Mrs Shepherd’s Oven. Both are beautifully (but very differently) illustrated and both tell the kinds of endearing stories that parents love to read to their children and that children love to hear. We hope to bring you more Castle Kids books heading in 2014 and beyond, but meantime be sure to check out these two new titles (here and here) – they make excellent Christmas gifts.